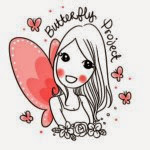 "A Dr. Morita facial mask a day, helps keep ageing away." Nothing keeps wrinkles at bay better than well hydrated skin. With that being said, mask plays an important role in our daily skin care regimen. 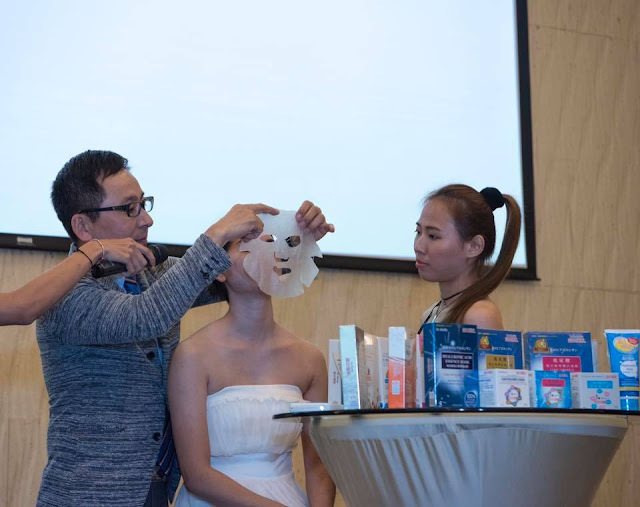 We are honoured to be invited to a beauty workshop conducted by the ever youthful looking Dr. Jou, the CEO of Dr. Jou Biotech Co. Ltd, responsible for developing Taiwan's top selling facial sheet mask brand, Dr. Morita at St Giles, The Garden recently. 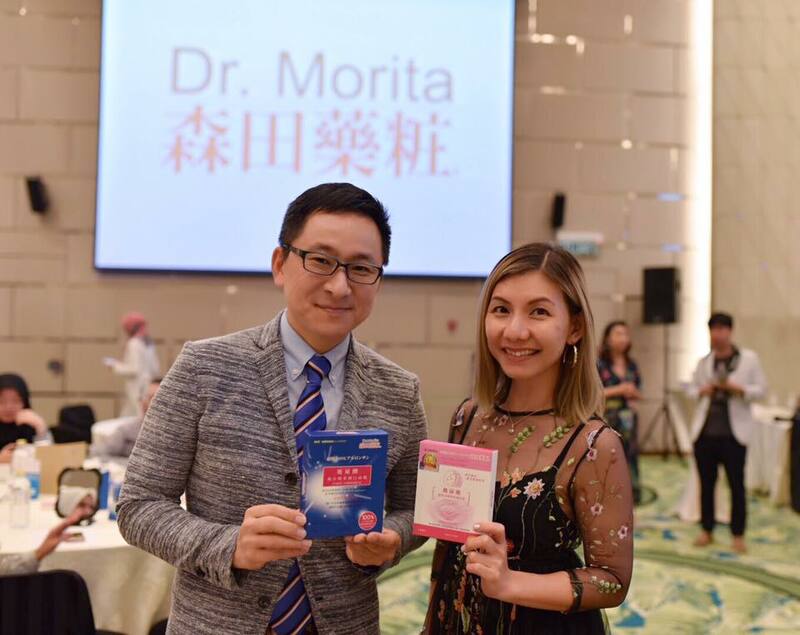 Dr. Morita, the no 1 best selling facial mask in Asian countries such as Taiwan, Hong Kong, Malaysia, Singapore and China has been around for more than 83 years specializing in facial masks to pamper and nourish the skin. While the basic skincare regimen of cleanse, tone and moisturise is vital to maintain a healthy skin, it isn't sufficient to protect and preserve it from the unforgiving elements of time. 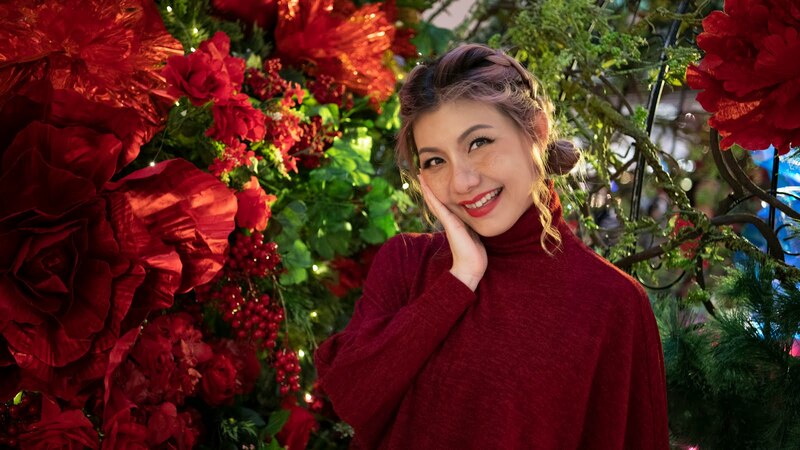 Thus, it is essential to include facial mask into your daily skin care regimen to keep it well moisturised to facilitate rejuvenating and healing process at the end of each day. 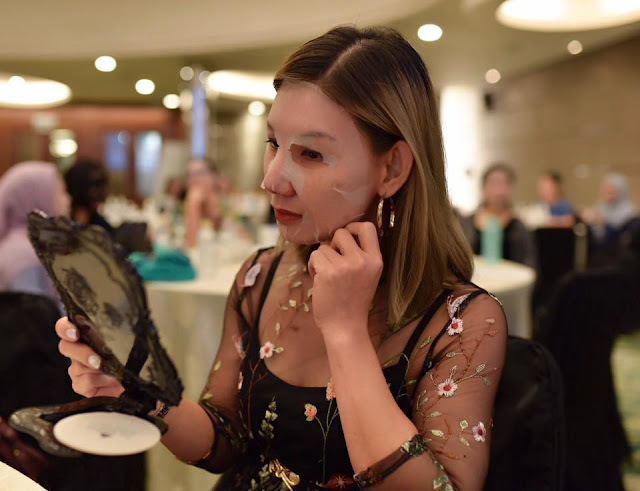 According to Dr. Jou, although facial mask was originally intended as a weekly treat for the skin, but applying it daily will give a more visible results. The time, effort and money to do this long term will eventually PRESERVE the skin and keep it looking youthful. 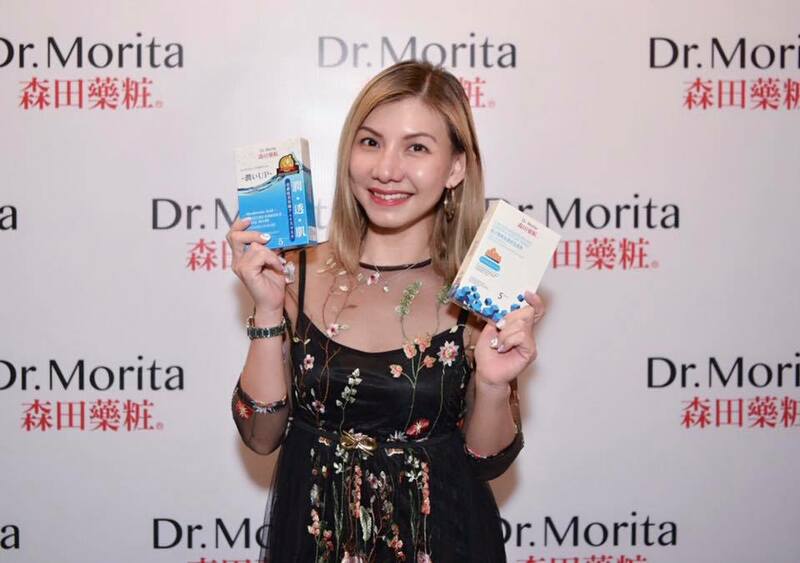 Dr. Morita is a high quality product at an affordable price, hence everyone can afford to pamper their skin daily. 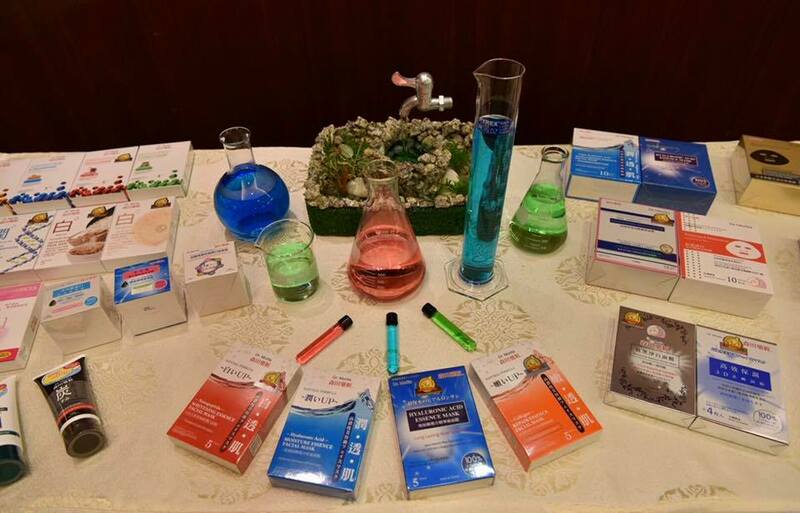 Dr. Jou also took the opportunity to introduce Dr. Morita's latest line up of products at the workshop. With hyaluronic acid being the key ingredient in most of its masks, Jou highlighted two of Dr. Morita's bestselling HA based masks which is, Hyaluronic Acid Essence Long Lasting Facial Mask 5's with high concentrations of HA and active ingredients for long lasting hydration and Hyaluronic Acid Moisture Essence Facial Mask 5's with 3 different HA molecules for various penetration to provide excellent hydration. On top of the two star products mentioned above, Dr. Jou also presented other new masks under the Dr. Morita brand, namely 3D Hydration Facial Mask 4's, Tranexamic Acid Whitening Mask 4's, HA Super Hydrating Facial Mask 5's, Q10 Repairing and Firming Facial Mask 5's, Hyaluronic Acid Moisturizing & Repairing Essence Facial Mask 5's, Hyaluronic Acid Moisturizing & Whitening Essence Mask 5's, Whitening Essence Facial Mask 10's, Intense Hydrating Serum Facial Mask 10's, Platinum Colloid & hematite Extraction Whitening Black Facial Mask 10's and Platinum Colloid & Black Pearl Extraction Moisturizing & Whitening Black Facial Mask 10's. Besides their popular facial sheet masks range, Dr. Morita also offers luxurious pampering creams that utilize powerful natural ingredients such as tranexamic acid, horse oil, shea butter, Vitamin E and coenzyme Q10. The latest addition to Dr. Morita's range includes functional creams namely Glycoprotein Moisturising Essence Cream 90ml, Hyaluronic Acid Moisturising Essence Facial Cream 90ml and High Purity Hyaluronic Acid Moisturising Cream 90ml. 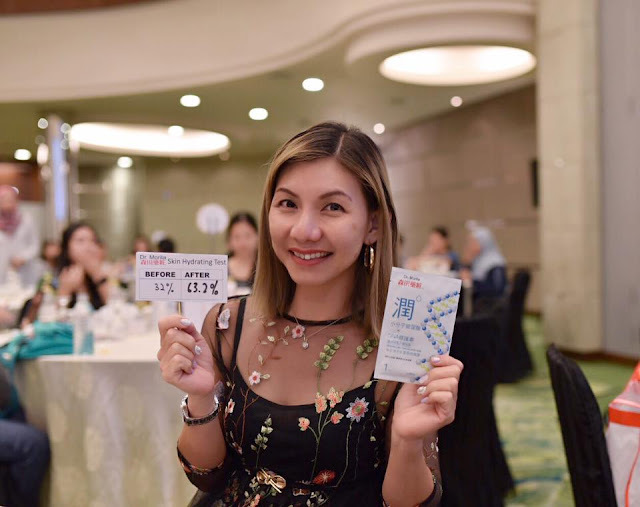 On top of that, three high quality facial wash, Hyaluronic Acid Moisturising Face Wash 90ml, Anti-oil Charcoal Face Wash 90ml and Anti-acne Face Wash 90ml, each targeting a specific skin condition. Weee.... a boost of moisture after applying Dr. Morita mask. Backed by medicine, boosted by nature, feel the symbiosis today - Dr. Morita "The Doctor Knows Best"